Currently, there are tens of thousands of Xarelto lawsuit filed in state and federal courts across the United States. The injured plaintiffs are alleging they were injured by Xarelto and suffer from irreversible internal bleeding and other life-threatening conditions. These victims state that other medications available for use are just as an effective at preventing blood clots but do not have the same life-threatening risks of excessive bleeding. The plaintiffs allege that the Xarelto manufacturer never provided their doctor with direction on how to determine it was safe for them to take Xarelto or if they should stop taking the medication if their blood screening tests revealed potential problems with using the drug. Rosenfeld Injury Lawyers LLC represents victims of defective medications and other types of professional negligence. Our law firm has successfully prosecuted cases for our clients who were injured by dangerous drugs. Our attorneys are available to answer any legal questions on how to receive the monetary compensation you deserve if your injuries were a result of a drug company's negligence. Should you have additional questions, we invite you to contact our office for a free review of your legal rights. Xarelto (rivaroxaban) is a prescription blood-thinning medication that stops blood coagulating (clotting). In July 2011, the FDA (Food and Drug Administration) approved the medication to thin blood in patients who suffer from non-valvular atrial fibrillation or have undergone joint replacement surgery. The federal agency required changes to the Xarelto (rivaroxaban) labeling to alert drug takers that there are potential risks to pregnant women, kidney patients, nursing mothers, and individuals with a prosthetic heart valve. Stroke, heart attack, and other serious side effects. By 2013, the government regulatory agency forced the Bayer Corporation and the Johnson & Johnson – Janssen Pharmaceuticals to revise their warning label on the rivaroxaban and Xarelto packaging. This warning alerted the medical community that patients who stopped taking the drug might have an increased potential risk of experiencing a life-threatening thrombotic event that could involve a pulmonary embolism (PE), epidural/spinal hematoma, and other severe conditions. Xarelto (rivaroxaban) was designed and manufactured to compete with warfarin (Coumadin) as a blood thinning agent. However, since the drug was first distributed into the medical marketplace, thousands of patients required hospitalization after taking the medication and hundreds of those died. There is no antidote for any adverse reactions to taking Xarelto (rivaroxaban) to ensure bleeding stops. However, there are antidotes available for less popular anticoagulants including Coumadin and warfarin. In July 2011, the FDA (Food and Drug Administration) approved Xarelto to reduce the potential risk of blood clotting caused by pulmonary embolism (PE) and deep vein thrombosis (DVT) that develops after knee and hip replacement surgery. By the end of that year, the federal agency approved the medication to treat patients with irregular heart rhythms involving non-valvular atrial fibrillation. By 2012, the federal regulatory agency expanded the approved use of taking Xarelto (rivaroxaban) after a new application went through an expedited review. Doctors prescribed Xarelto (rivaroxaban) to treat PE and DVT even if the patient had not undergone a knee or hip replacement surgery. The following year, the pharmaceutical manufacturers were required to enhance their safety labeling to warn consumers that stopping the use of the medication prematurely could increase the potential risk of developing a blood clot or thrombotic event. In February 2014, the FDA added a new safety label to Xarelto warning consumers that there were potential problems with taking multiple doses of erythromycin, a powerful antibiotic drug, and Xarelto (rivaroxaban) if the patient suffered from renal insufficiency (poorly functioning kidneys). The FDA stated that these patients may have an increased potential risk of internal bleeding. Injured victims across the United States have filed thousands of lawsuits against Janssen Pharmaceuticals and the Bayer Corporation alleging their injuries are the result of taking Xarelto (rivaroxaban). Their attorneys built claims for compensation arguing that the drug manufacturers marketed the dangerous medication as an all-encompassing drug that was just as safe as warfarin and Coumadin. However, patients on a regimen of taking anticoagulation medication need continuous monitoring other body's PT (prothrombin time) and INR (international normalization ratio) to protect their well-being. These tests can determine if the patient is susceptible to severe, life-threatening internal bleeding. The test results can provide much-needed information for the doctor to determine if the patient is an ideal candidate for taking Xarelto (rivaroxaban) to prevent the development of a blood clot. Xarelto (rivaroxaban) is a defective medication with unreasonable life-threatening side effects. The pharmaceutical makers were negligent when manufacturing and distributing the drug. Both Janssen Pharmaceuticals and the Bayer Corporation neglected to test the drug properly and failed to warn doctors and patients that there was a potential risk for experiencing uncontrolled bleeding. Both pharmaceutical companies concealed evidence from the public and government regulatory agencies that they knew of their drug was dangerous and misrepresented the medication's safety in their marketing and promotional materials. Both drug makers falsely promoted Xarelto (rivaroxaban) and stated that the drug did not require monitoring to determine if the patient was suitable to take the medication. Janssen Pharmaceuticals and the Bayer Corporation continue to market Xarelto (rivaroxaban) in the medical marketplace as being a safe anticoagulant medication. As of 2016, the federal court system began handling claims through multidistrict litigation (MDL) on behalf of thousands of patients who have filed Xarelto lawsuits. Currently, the federal judge will begin initiating three or four bellwether cases that will provide much-needed information on how the jury will react to similar evidence and facts surrounding the remaining cases. Multidistrict litigation lawsuits are not the same as a class action suit where all of the plaintiff's share the jury or verdict equally. Alternatively, cases processed through multidistrict litigation court heard individually with separate juries so that every plaintiff's unique circumstances and evidence will determine the outcome of their case. However, the MDL court can consolidate the discovery process for the majority of cases that share similar evidence. Every plaintiff's attorney and the defendant's lawyers can use this information during individual settlement negotiation meetings. The loss of your future earnings if you are unable to return to your previous occupation because of your injuries. Other intangible reductions in the quality of your life. 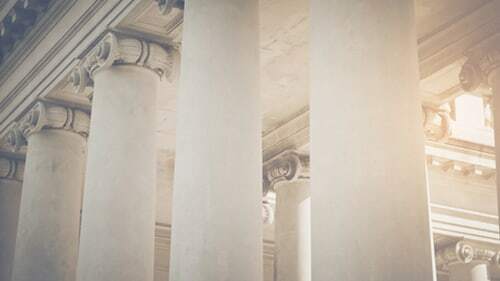 Punitive Damages – The court system provides plaintiffs access to punitive damages that are designed to punish a defendant and deter similar wrongdoing in the future. In products liability cases, such as those involving Xarelto, plaintiffs must be able to demonstrate that the manufacturer knew, or should have known, or had a reckless disregard for the plaintiff's injuries. Winning punitive damages in a court case is extremely hard to prove. However, attorneys working on behalf of their plaintive clients continue to seek punitive damages if the actions of the defendant were egregious. If you or a loved one was seriously injured after taking Xarelto (rivaroxaban), the personal injury attorneys at Rosenfeld Injury Lawyers LLC advises you to file your claim before the state or federal statute of limitations expires. If you fail to file the necessary documents in the appropriate courthouse on time, you will likely forfeit your right to ever seek financial compensation forever from any defendant involved in a Xarelto lawsuit. Contact us today at (888) 424-5757 to discuss your legal options. We will review the evidence in your case and determine if you qualify to receive financial compensation. The bad drug injury attorneys at Rosenfeld Injury Lawyers LLC understand you were harmed by the negligent actions of the pharmaceutical manufacturer. Our legal team has successfully obtained millions on behalf of the victims and their family members to ensure they were adequately compensated to cover their medical expenses, household bills, lost wages, loss of future earnings, pain, suffering, and emotional damage and we can help your family too. Our law office encourages you to contact our attorneys today to schedule a free, no-obligation case consultation to discuss the merits of your monetary recovery claim. We accept all personal injury cases, wrongful death lawsuits, and defective medication injury claims through contingency fee arrangements. This legal contract postpones the payment of legal services until after we have successfully completed your case through a negotiated settlement or a jury verdict.